Gold prices fell last week as the US dollar regained strength. Prices were down around 2 percent for the week to $1,251 per ounce. It seems that market participants are once again focusing on whether or not the US Federal Reserve will increase interest rates instead of the strong underlying fundamentals. According to the Federal Open Market Committee minutes of the April monetary policy meeting, there appears to be a growing support for the U.S. central bank to raise interest rates as early as June. “Some participants were concerned that market participants may not have properly assessed the likelihood of an increase in the target range at the June meeting, and they emphasized the importance of communicating clearly over the intermeeting period,” the minutes said. April’s monetary policy statement showed one dissenter in the meeting as Kansas City Fed president Esther George said that she supported a move at that meeting; however, the statement in April downplayed the hawkish tone of the meeting as reflected in the minutes. The comments in the statement showed that participants thought it would be appropriate to raise rates in June. “Most participants judged that if incoming data were consistent with economic growth picking up in the second quarter, labour market conditions continuing to strengthen, and inflation making progress toward the Committee’s 2 percent objective, then it likely would be appropriate for the Committee to increase the target range for the federal funds rate in June,” the minutes said. Along with continued optimism for the U.S. economy, the committee was also less concerned about global growth. While there is growing support for the central bank to raise interest rates sooner than expected, the minutes also showed that some members remain reluctant to rock the economic boat. “[M]any others indicated that they continued to see downside risks to the outlook either because of concerns that the recent slowdown in domestic spending might persist or because of remaining concerns about the global economic and financial outlook,” the minutes said. Since the release of the minutes, market expectations of a June move have spiked higher, putting pressure on gold prices. However, it is my belief that no matter what the Fed decides, prices of gold are headed higher and this speculative play can be considered as a small correction. As far as I am concerned, the real bubble is in the bond market. The bond market is much bigger than the stock market, so when the bubble in bonds bursts, it’s going to be something we have not experienced before. And, even though gold is not the giveaway it was in 2001 at $250 an ounce, it’s reasonably priced at current levels. Another interesting trend that main-stream media is talking about is that many of these central banks aren’t just purchasing local currency. They are buying gold. Both China – a major holder of US debt – and Russia are leading the pack. According to the World Gold Council, Russia increased its gold reserves by 45.8 tons in the first quarter of this year. That was 52% higher than the same period in 2015. China purchased 35.1 tons between January-March, adding to the 103.9 tons it bought through the second half of last year. This strategy makers perfect sense in an environment of low and even negative interest rates, coupled with rampant economic uncertainty. The yield on Treasuries and other sovereign debt becomes less and less attractive in a low-rate environment particularly when the rate is negative. The Federal Reserve and U.S government central planners have built a house of cards on a foundation of debt. What is going to happen when nobody wants to buy US Treasuries anymore? Will the house of cards eventually come crashing down? Perhaps that is the real fear driving countries like Russia and China to dump US debt and buy gold. Meanwhile, the global demand of physical gold remains extremely robust and physical supply is tighter than it’s ever been. 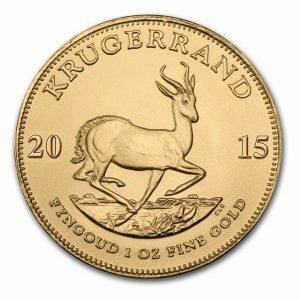 New explorations have been put on hold by the bear market of 2011-2015., and the global economy is now ripe for a surge of gold buying, which, when it comes to the smart money, we are already seeing them enter the sector at unprecedented levels. In a new development regarding the on-going battle regarding currencies, on Saturday, the United States issued a fresh warning to Japan against intervening in currency markets. As central planners continue to experiment with different monetary policies in order to stimulate economic growth, the one thing we can be assured of is that their actions will impact on the purchasing power of money… except for gold. 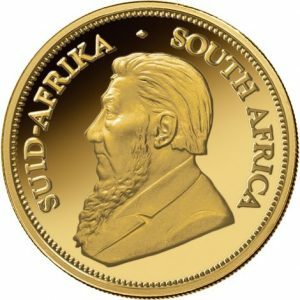 And, I am positive that the current bull market in gold will ultimately break the banking cartel that has successfully managed to suppress prices for many years. The silver price fell by more than 4% last week as the market reacted to fears of a potential June interest rate increase coming from the Fed. This comes as a surprise as the Federal Reserve seemed to indicate the opposite the last time they spoke, at the end of April. However, they warned us of an impending rate increase in December and the price of silver has gone up 25% since then. 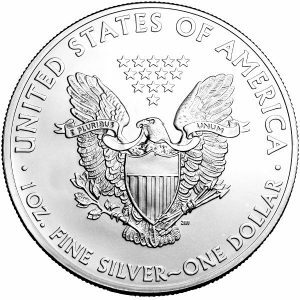 As I have often mentioned, unlike many analysts, I am not prepared to predict the price of silver predicated on what the US Fed may or may not do regarding interest rates. If they do raise rates, you can be assured that the increase will be marginal and not enough to impact on silver prices in the long term. 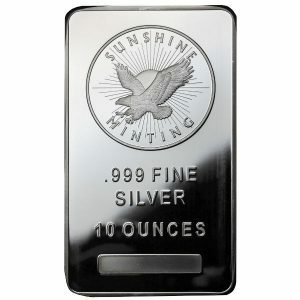 For this reason, I believe this is an excellent time to take advantage of this dip in the price of silver. 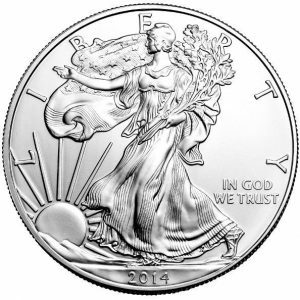 The last time I notified you of a dip, in early April, the price of silver was around $15 per ounce. This current dip is what we would expect of a bull market and I expect to see some base building around the $16.00 mark. This is healthy market behaviour and we expect the low-point of the next dip to be even higher. 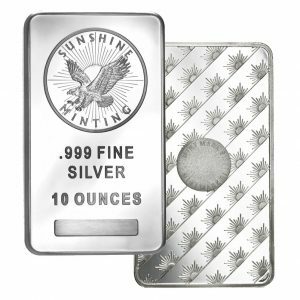 Furthermore, I have often written about the gold-silver-ratio, which suggests the price of silver still has ample room to grow in the long run. Throughout most of our history, silver and gold were interchangeable at a ratio of 15 to 1. One gold coin would be equivalent to 15 silver coins of the same mass. This ratio roughly mirrored the natural occurrence of gold and silver as mined from the earth. It was only in the 20th century with the widespread introduction of fiat currencies and the abandoning of silver as a currency backing that this ratio skyrocketed and started to fluctuate dramatically. Throughout the 20th century the gold to silver ratio averaged 47 and spiked at an all-time high of over 100 in 1991. For the last 30 years the ratio has consistently swung within a wide range, characterized by rough lows of 30 to 35 and rough highs of 80 to 85. No bull market in history has been without its peaks and valleys. This is essential to slow, steady growth that will reward patient investors. Putting the possibility of the Fed raising interest rates aside for a moment, Thomson Reuters reported that the silver market ended 2015 in an annual physical deficit for the third-year running. On top of that, this year’s deficit of 129.8 million ounces was 60 percent larger than last year’s deficit—and also the third largest deficit on record. 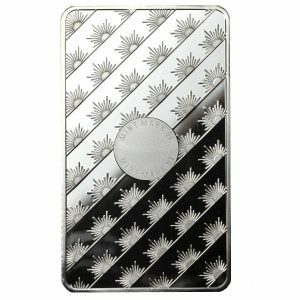 Recently, the price of silver hit a 15-month high, and according to one analyst closely watching the metal, the optimism should continue. ‘We expect the silver price to average $15.90 this year and that’s going to be defined by an overall upward trend,’ Erica Rannestad, precious metals demand senior analyst for Thomson Reuters GFMS, told Kitco News. 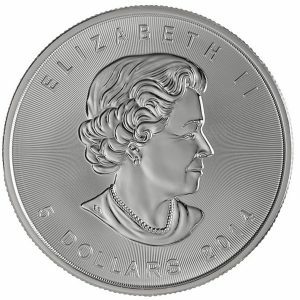 ‘We’ve seen prices reach highs last week and we expect that trajectory to continue through the 4th quarter of this year.’ Prices are expected to close the year around $16.80 an ounce, Rannestad added on the 26th World Silver Survey’s release date. The annual report, which offers a comprehensive look into the silver market’s fundamental drivers, was released by GFMS in collaboration with the Silver Institute. As many silver bugs are no doubt aware, the price of silver has been on the rise for the first four months of 2016, rising almost 23 percent to reach $17.45 per ounce since the start of January. 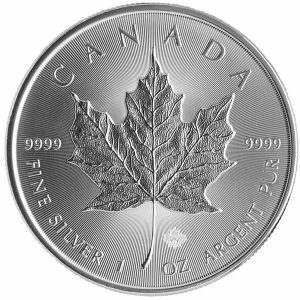 We strongly feel this is a great time for you to invest in silver while prices are favourable, and we want to offer you an opportunity to take advantage of the current dip in the spot price of silver.